NXT is the hottest thing in professional wrestling right now and with the way things have been going there is no reason to believe that will change anytime soon. Every NXT special has blown me away with the incredible athleticism and terrific storytelling. 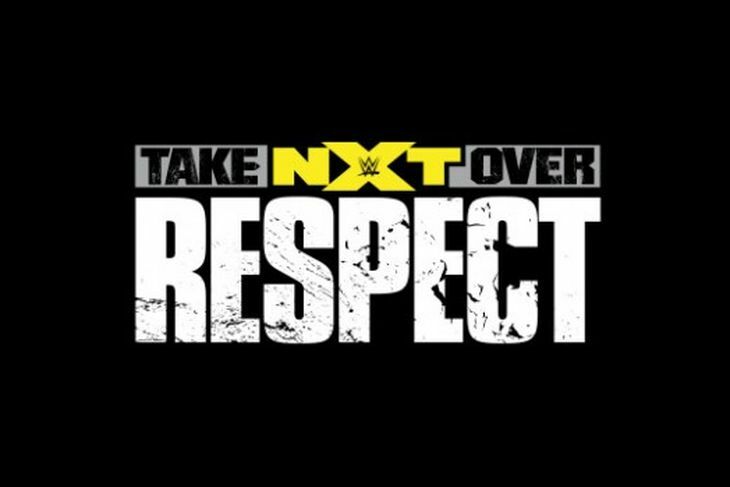 NXT Takeover: Respect was another example of how great talent paired with excellent booking can make wrestling one of the most exciting forms of entertainment around. Finn Bálor and Samoa Joe vs. The Mechanics (Scott Dawson and Dash Wilder) – This was a semi-final match in the Dusty Rhodes Tag Team Classic tournament and it was an excellent start to the show. Both teams worked very well together and showed off some classic tag team wrestling along with some excellent spots. The match ended with Samoa Joe performing his devastating Muscle Buster maneuver and Bálor hitting the Coup de Grace for the pinfall to earn a spot in the finals. Baron Corbin and Rhyno vs. Jason Jordan and Chad Gable – The second semi-final match in the Dusty Rhodes Tag Team Classic tournament was even better. All four men worked amazingly well together and the match ended with Corbin getting the pin after an insane series of moves and false finishes that have to be seen to be believed. Asuka vs. Dana Brooke – This was Asuka’s first match in NXT after a great career in Japan and she blew the roof off the arena. The match was fast paced with a lot of stiff moves between these two women. Asuka won by submission and I cannot wait to see more from Asuka. Apollo Crews vs. Tyler Breeze – These two worked great together and even though Crews got the win, Breeze still came off great and I cannot wait until he makes it to the main roster. Finn Bálor and Samoa Joe vs. Baron Corbin and Rhyno – This was the final match in the Dusty Rhodes Tag Team Classic tournament and it was a perfect way to honor the late Dusty Rhodes. All four men put their all into this match and told a great story with Bálor having to fight through an injury (storyline wise) and both teams putting everything in to this match that they possibly could. Bálor and Joe got the much deserved win and it was great to see the Rhodes family come out to present them with the trophy and to hear the heartfelt words from one of Dusty’s sons Cody. Truly a great way to honor a great man and performer. Bayley vs. Sasha Banks – This was a 30 minute iron man match (the wrestler with the most pinfalls or submissions after 30 minutes wins) for the NXT Women’s Championship and was the first time the women have been the true main event of an NXT special. To see women’s wrestling get to this point of great respect and main eventing is a true joy. This match was simply incredible and despite a show full of great matches this one was by far the best. Not only do these two have an amazing in-ring chemistry, but they are terrific athletes and masters at telling a story inside the ring. Whether you are a wrestling fan or not you need to see this match. It was brutal, exciting, filled with the right amount of high spots and the end with Bayley retaining her title with a 3-2 victory was amazing and the emotion seen was genuine. Both women realized they had made history and everyone in the crowd showed there appreciation with a long standing ovation. If the main roster in the WWE booked the women like this then women’s wrestling would be main eventing much more often and hopefully will. 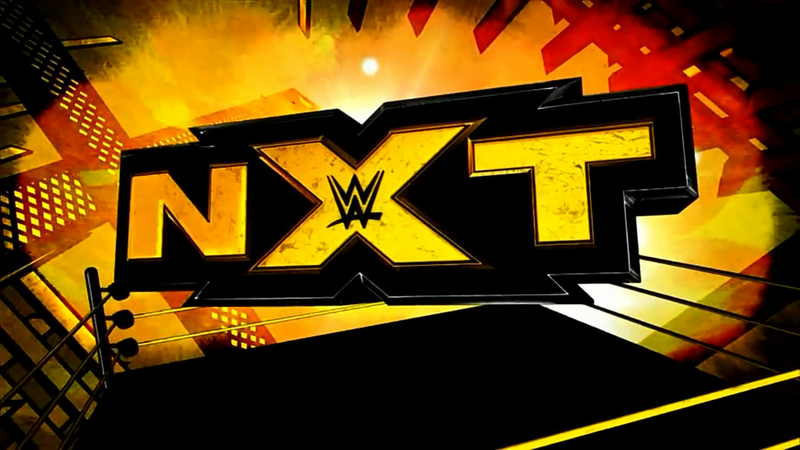 If you are a long time wrestling fan or are looking to give it a shot, then watch NXT. It will not disappoint. Hey everybody! This is just a little mini-post for Friday since I’m busy this week, but nevertheless i wanted to talk just a bit today. Eva Marie has just re-debuted this week. I am not only extremely happy that she has been able to actually train this time, (with an amazing wrestler, Brian Kendrick) I am elated that she did so well in the ring. Honestly, I could sit here and write that I was nervous about her re-debut, that even though we’ve had so many videos that she HAS improved, that there was still doubt inside of me – But really, that just isn’t true. I haven’t for a moment doubted that Eva Marie was going to crash in and make all her haters backpeddle. Even if they won’t say it, they were wrong. Eva is still a bit nervous and hesitant, but can you really blame her? She was booed by the crowd furiously every time she was in front of them. I know that I’d be in worse shape than she is now – She’s actually been amazing during all of this! We need more female wrestlers in NXT, because three of them just got pushed up to the main roster – which I will talk about next week. NXT only has Bayley, Emma, Dana Brooke, Alexa Bliss, and Carmella. Of course, they have plenty of women that can debut when they’re ready, but still, Eva Marie is ready now. I am extremely proud of Eva Marie, and I know that I’ll only become prouder over the following weeks. Thank you all for listening and have a great weekend! The 29th installment of Wrestlemania was a solid show with many highlights and was one of the very few I had not seen. It was held at MetLife Stadium in East Rutherford, NJ and was billed as a co-location event between New York and New Jersey. It was the fifth Wrestlemania held outdoors which added a Super Bowl-type atmosphere to the proceedings. WWE has held to this new tradition of holding the biggest wrestling event of the year in big stadiums and it really adds to the atmosphere. Randy Orton/Big Show/Sheamus vs. The Shield – This was the first Wrestlemania for all three members of The Shield (Dean Ambrose, Seth Rollins, and Roman Reigns) and was a solid start to the show. The highlight of the match was when Rollins attempted a top rope maneuver and Randy Orton caught him with an RKO. The match ended with a spear from Reigns to Orton and the pinfall was secured by Ambrose. Great match and The Shield were very over with the crowd. Mark Henry vs. Ryback – A little underwhelming since the match featured two big, slower guys and the crowd was not very interested in this match. It was not horrible, just kind of a throw away match. Henry secured the win after a failed Shell Shock attempt from Ryback. Team Hell No vs. Dolph Ziggler/Big E – A solid match that featured a very fun team in Daniel Bryan and Kane that I miss since they not only had solid matches, but their vignettes were hysterical with the two of them always being at odds. Ziggler and Big E (with AJ Lee in tow) were a very solid team as well. The match was fairly quick, but exciting with Team Hell No retaining their Tag Team Titles. Fandango vs. Chris Jericho – This was Fandango’s debut match and the fact that it was against Jericho made it appear that Fandango was set for a big push. It was a fairly good match with Jericho having to carry the night since Fandango was more than a bit green. I could not help but feel that a debut match should not be held at the biggest event of the year. Not fair for a talent to have that kind of pressure put on them. Amazingly enough Fandango got the win, but surprisingly he was not really pushed that much after Wrestlemania. Seems a waste of such a notable victory. Alberto Del Rio vs. Jack Swagger – This was was kind of an ironic match since both men are known to be very reckless in the ring and have both caused multiple real life injuries to their opponents. The match itself was fine with Alberto retaining his World Title, but I had one HUGE issue with the entire storyline, the racist aspect of it. During this time Swagger came out with Zeb Colter (formerly known as Dirty Dutch Mantel) with Zeb constantly attacking immigrants and mentioning how ‘those people’ should not be in our country. I have loved wrestling since I was a kid and even though I have seen my fair share of embarrassing moments on the screen most of it was fairly benign. This particular angle went too far in my opinion and with racism being a big issue in our country this was one area the WWE should have stayed out of. It got uncomfortable hearing the things that were spewing from Colter’s mouth and made the match less enjoyable. The Undertaker vs. CM Punk -Once again, another great match from The Undertaker with CM Punk being that year’s victim of the streak. They both worked a solid, hard fought match with plenty of moments that made you think Punk could have been the one to end the streak. After a lot of back and forth The Undertaker hit Punk with a Tombstone Piledriver for the win. Triple H vs. Brock Lesnar – This match was brutal with both men beating the hell out of each other. Triple H has always been and always will be a solid in-ring performer and he and Lesnar really worked well together with H Securing the victory via his patented Pedigree. John Cena vs. 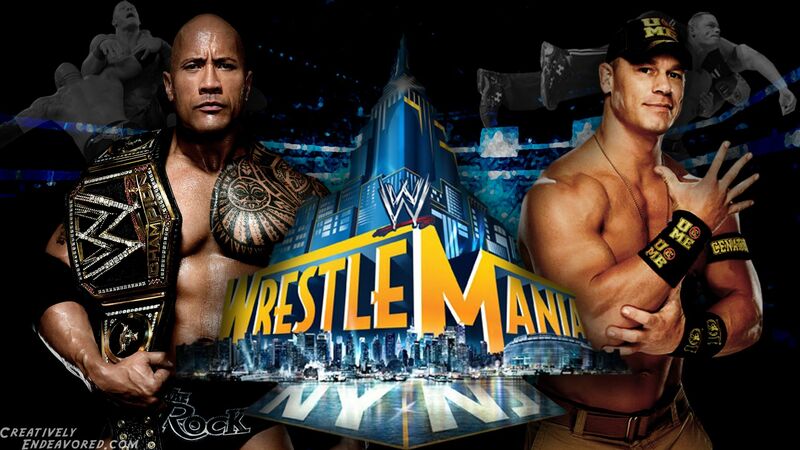 The Rock – The big rematch from the previous year’s Wrestlemania. Both men had legitimate animosity towards each other and were able to channel that heat into an excellent match with plenty of action and false finishes. John Cena won the WWE Title with the AA and both men embraced after the end of the match showing true respect for each other. Overall, a good show that was fun to watch for the first time even though I already knew the outcomes of some of the matches. Next week I will be watching Wrestlemania 30 again and even though I already reviewed it last year, I am looking forward to a second viewing and seeing if my opinion has changed on any of the matches knowing some of the real life stories behind them, especially The Undertaker/Brock Lesnar match which I was not thrilled with a year ago. 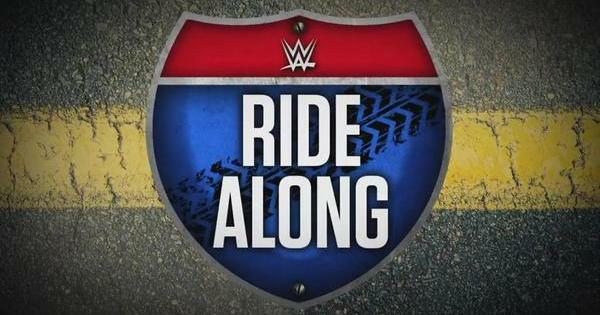 Remember, you can watch all of these shows yourself and so much more by subscribing to the WWE Network for only $9.99 a month! Hey guys! Recently, I’ve really gotten into wrestling, and just as recently, the main roster has been a bit off, so I took more notice into NXT, where new wrestlers go to be exposed to WWE audiences and learn how to work in their environment and building up their characters. I’ve gotta say, it’s really amazing. NXT is such a great place for these new wrestlers. The divas have a real place in NXT, they don’t just get two-five minute matches that are fillers, they get some legit matches there. The storyline for the divas is more intricate like the superstars’ are. That’s always upset me with the main roster. The divas work so hard to get where they are, but they still only get one match, and sometimes two. The NXT divas don’t have more matches each episode, but with how long they are I feel like the wrestling world might make some progress and we’ll get to see them all more often. I have been absolutely loving Charlotte. She is such a great wrestler, and she has made her father, Ric Flair, so proud. Charlotte is amazing, and she was the first one to bring my attention to NXT’s divas division. She’s got great charisma, and she pulls off her gimmick really well, and her feud with Sasha Banks is fantastic, and I’m really hoping that the little fights between Bayley and Charlotte lead to them having a feud – and I would really love if this lead to Bayley maybe changing her gimmick a bit. It’s hard for me to judge the other divas, I’ve always been focused on Charlotte, but I really feel like they’re all doing a great job with their given gimmicks. Bayley is the only one that comes off as a weaker competitor to me, but I do feel like she can get there. Hideo Itami is a great athlete and wrestler. His gimmick is good and serious, he’s strong and fairly fast, but I will admit that he is stiff (this is what NXT is for though, to expand yourself, to grow, and to learn.) – but right now his twitter feud with Tyler Breeze is fantastic. Tyler picks on Hideo and Hideo comes back just as well, in my opinion. I really respect Tyler Breeze during this whole twitter feud. He has not once made any sort of comment on Hideo’s race, unlike Curtis Axel, whose first comment on him was about his race. Tyler Breeze has such a fun gimmick, it’s definitely good to start out with a character like this. I think he’s hilarious, and – in a goofy way – charming. He’s a great wrestler too, he does a great job staying in character. Adrian Neville is honestly one of the best athletes I’ve seen, and it’s amazing that he can only get better. He is a high-flying wrestler, and he almost always executes every move amazingly. He can keep pace like crazy and every match is so cool and fantastic. His feud with Sami Zayn was absolutely amazing too. It honestly was one of the best I’ve seen. It had depth, and it definitely showed me that NXT is a truly amazing place to be if you’re a new wrestler. Sami Zayn is just as amazing as Adrian Neville. During their feud, they complemented each other perfectly throughout the entirety of it. He has recently gotten a bit more wild, and I really like that. It’s character development, and I am really excited for his and Kevin Owen’s match on NXT Takeover. I know they’re going to put on an amazing match, and I am just so excited for it. NXT is amazing, I know that if Triple H had full control over WWE, it would be amazing. NXT has been nothing but perfect. I definitely feel like everyone should pay attention to these guys, even the ones I haven’t mentioned. The WWE has been in the bad habit of late of leaning too heavily on long established talent such as John Cena and Randy Orton. While both are great talents and legends it gets a little old seeing the same handful of guys at the top week after week. The last half of 2014 the WWE has been making a point of featuring more of the younger and less featured talent. Because of this the future is truly bright for the WWE. Once a month I am going to discuss one of these exciting new talents. The first on my list is Roman Reigns who debuted with the WWE in 2012. At the age of 29 he has a ton of upside and has been brought up in the WWE quickly, but not too quickly in my opinion. For the most part his rise to the top tier has been done well. He was built up slowly and not thrown into main events right after his debut. He started becoming a name with The Shield (along with Seth Rollins and Dean Ambrose). During the 2014 Royal Rumble WWE had Reigns eliminate 12 men which broke the long standing elimination record held by Kane for several years. The fans responded quite well. When they split The Shield last summer there was concern that one or two of them could have suffered. Amazingly enough all three of them have excelled and really found their niche in the WWE. 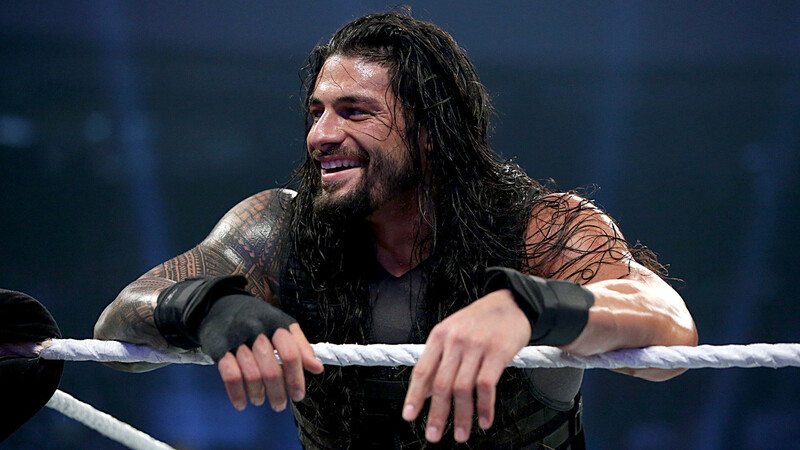 Roman Reigns was immediately over with the WWE audience. Recently they have paired him in a feud with The Big Show which has not been well received by WWE fans and his promos (which are heavily scripted by WWE’s writers) have been ridiculed of late because of the silliness of them. Despite this fact he still gets great reactions from the crowds since he has a natural charisma similar to his real life cousins The Rock and The Usos. As he gets more experienced on the mic he will get to the point where he can go off script more comfortably and not be stuck saying things like “sufferin’ succotash” (yes, he really said those words). There are heavy rumors that he will win this year’s Royal Rumble and main event Wrestlemania for the world title. I would be thrilled at this point to have almost anyone with the title besides Brock Lesnar who has gone 5 months or so without defending the belt since he apparently has a non work clause in his contract. Roman would be a great pick as champion since he has a great look, solid in ring talent, natural charisma, and is over with the crowd. No matter who winds up winning the Rumble, Roman Reigns is proof that the WWE has a bright future ahead of them and there is no doubt he will be a champion sooner rather than later.